Ghostbusters, the paranormal, phenomenal spook comedy, which became one of the biggest successes and comedies of all time and spawned a rabid cult of fans in its wake, celebrates its 30th anniversary this week. 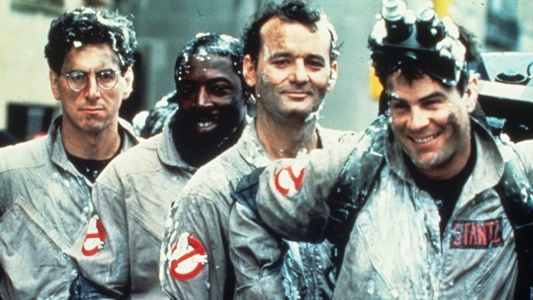 Directed by Ivan Reitman, and starring Bill Murray, Dan Aykroyd and the late Harold Ramis (the latter two co-wrote the script), Ghostbusters seemed to be the vehicle that crystallized everything about all of them. They had all worked together before — Murray and Aykroyd on SNL of course; Murray and Ramis in the army comedy Stripes, which was directed by Reitman, who Murray had also worked with on the misfits-are-in-charge of the Summer Camp comedy Meatballs — but the synergy that came on the screen with Ghostbusters was wholly apparent to all and, ultimately, became a film that spanned generations, and it was and is, a film that was for everyone and pandered to no one. Speedbumps are nothing new on the long road traveled by Ghostbusters 3. The planned trilogy-maker has met many obstacles and delays over the years, and, at the moment, is still here. Say what you will about the movie, but it is most certainly determined. The latest speedbump comes in the form of Ivan Reitman, who directed the original Ghostbusters and its sequel and was attached to make the third installment. 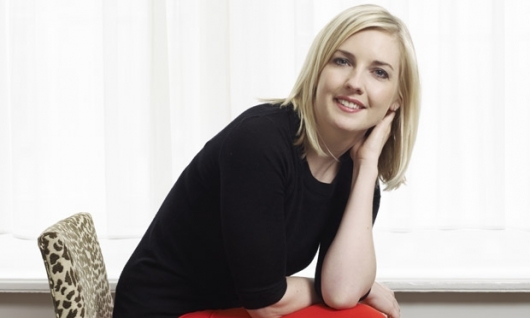 Reitman has decided to step down as director and let someone new take the wheel. He will, however, remain on the movie as a producer. 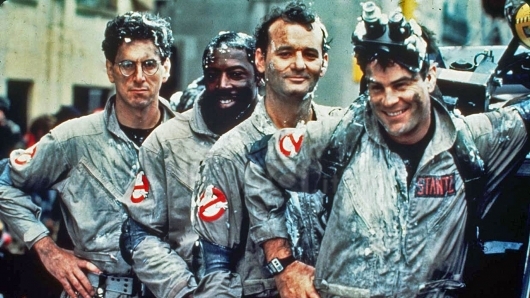 A third Ghostbusters movie has been in the works for over twenty years now, with co-writer of the original film Dan Aykroyd continually trying to get the project off the ground and having the main cast of the films return in some capacity, including Harold Ramis, who portrayed Egon in the movies and was also a co-writer. 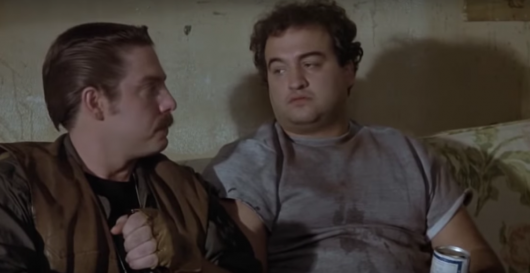 Ramis sadly passed away on Monday, and now we’re already hearing that meetings at Sony are being planned to reconfigure the sequel’s plot to account for his death. Ivan Reitman, who directed both the original Ghostbusters and the first sequel, is currently attached to direct the third installment, from a current script co-written by Lee Eisenberg and Gene Stupnitsky, who were writers on The Office. 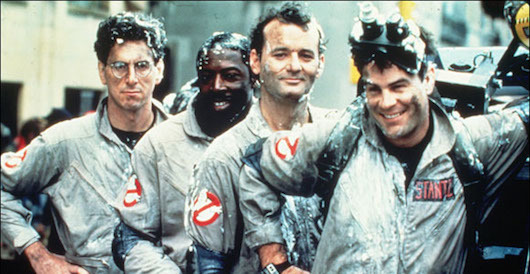 In the most current version of the story, Ramis, Aykroyd, and Bill Murray would only make brief appearances in the film and whose characters would act in a baton-passing role to a new generation of Ghostbusters. 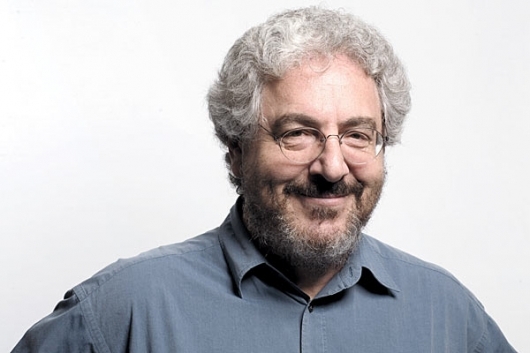 Harold Ramis, whose career as a comedian, writer, actor, and director endeared him to the masses and created such memorably hilarious works such as Stripes, Ghostbusters, Caddyshack, the first Vacation film and Groundhog Day, died today from complications of autoimmune inflammatory vasculitis, a rare disease that involves swelling of the blood vessels, according to the Chicago Tribune, who confirmed the news with Ramis’s wife Erica Mann Ramis. He was 69. The work of Harold Ramis is like a meshing of Second City and National Lampoon (he’d been a part of both), a kind of zany art of comedy styles that lied somewhere between the chaos of a John Belushi and the down-to-earth, yet fully mired in the deadpan musings of a Bill Murray. Murray, in fact, was one of Ramis’s top bananas and cinematic cohorts: Ramis worked alongside Murray on the big screen in Stripes as his reluctant best buddy when they got themselves signed up for the Army by way of life proxy, and in Ghostbusters, as the geek-scientist-raised-to-the-highest-level Egon. 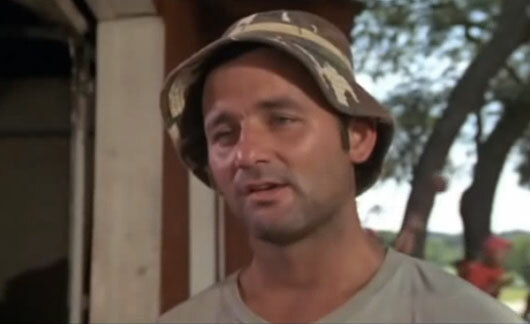 Ramis also directed Murray in films like the incomparable raunchy screwball comedy on the golf links Caddyshack and the repetitive and that’s the point Groundhog Day. He also co-wrote the legendary frat comedy Animal House, which to this day, continues to inspire (albeit mostly lackluster) imitations. No matter how hard we try, we can’t get away from any news about Ghostbusters 3. A couple of weeks back Ghostbusters star we reported that Dan Aykroyd was saying that they were bringing in a new writer for the film. Now we didn’t know if this was lip service to an always nagging question or if it was true. And if it was true, would they start with a fresh story or would they use the script written by Lee Eisenberg and Gene Stupnitsky. Now we can confirm a couple of things. First, yes, they are bringing in a new writer. Men In Black III and Tropic Thunder scribe Etan Cohen (not to be confused with Ethan Coen) has been brought in to do a couple of rewrites on the script that Eisenberg and Stupnitsky wrote back in 2008.